Voting will run from May 29th to June 5th, 2018 11:59PM Pacific, or will end early if each Member Team casts a ballot via Google Forms. Each Member Team has one ballot. The NCDA uses a preferential voting system. If you do not wish to vote on a specific rule or option, just leave it blank. Each option on the form is accompanied by a link to the original proposal that was voted into consideration at the 2018 Captains’ Meeting. Below are the campaign paragraphs for each bid to host Nationals 2019. It is important every Member Team voices their opinions on the changes that effect this organization. Please relay this information to your Team as well, to see what the inheriting generation’s preferences are. If you would like to hold your own preferential election within your Team to determine your end ballot and need help doing that, talk to us. Following the NCDA’s voting policy, the vote will be preferential. Teams will submit their ballot by ranking each school in order of their preference. The most preferred school will host Nationals 2019. 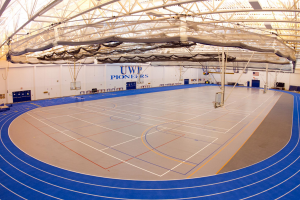 For Nationals 2019, there are three schools placing a bid to host: UWP, PSU, and UNL. Candidates are presented in a randomized order. Hello everyone, my name is Erik Zander, a content writer and current player on the Platteville Dodgeball club. The Platteville Dodgeball Club is placing a bid for Nationals to be held at the University of Wisconsin Platteville. It would be a great honor to hold the national tournament and to try to make it one of the best Nationals to date. I would be the person in charge of running this event along with my Dodgeball UWP board who are all eager for this opportunity. I’m currently in my last year and I want to use Nationals as my capstone course for my education. If given the opportunity to host the league would receive regular updates on the status of Nationals and what can be expected for that weekend. I’m currently talking to the Platteville Chamber of Commerce and they can help me get access to sponsors to help with the costs and provide teams with great deals on lodging and food. I’m also talking to the National Guard in being a sponsor as a few of the courts that will be used for Nationals are ran by them. I’m also going to be in contact with our organization on campus soon that provides funds to events such as this to help reduce the costs for the national tournament making it easier on all teams in attendance. This organization is always looking for events like Nationals to provide funding for so there is a good chance we will receive funding for this. We currently have 8 to 9 courts available for use and I’m working on obtaining a few more. This would allow the games to get done early which would allow for teams to have more free time afterwards to hangout and relax before Sunday’s play. The four main courts will be on our campus which all have dividers on them and no walls so there is no bounce back that can occur. There is great viewing from above so that one can watch multiple games at once. 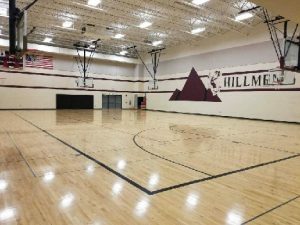 The gyms at the high school are new and have bleachers on the sides so that it provides for great viewing of the matches. 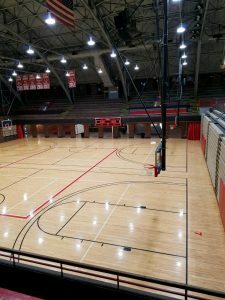 The armory in Platteville also has courts run by the national guard (a potential sponsor of the event) that the NCDA will have access to. If Nationals is held at UWP the NCDA will have access to multiple referees since several of the alumni of UWP and DePaul that actively follow the teams would love to have the opportunity to help with such an event. They are close enough that getting them to travel and help would not be an issue. This would allow for fewer games needing to be refereed by current players and allowing them to enjoy the matches. Also, these individuals will have a good understanding of how the current rules work because the Platteville Dodgeball Club hosts two summer events that these individuals partake in and UWP also holds two tournaments throughout the year that the alumni also participate in too, so they will have a good understanding of how the game is played and how the rules should be enforced. I will also provide these individuals extra training on how they should referee and make sure they understand the rules clearly. I know at previous Nationals, the quality of the balls and them being broken in has been an issue which can affect a team’s ability to play. 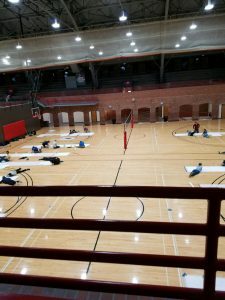 At Platteville, we do a really good job at breaking them in, just ask Grand Valley as they really liked using our dodgeballs at their tournament. With the balls purchased, the Platteville Dodgeball club would rotate the balls throughout the year to get them ready for Nationals. At our fieldhouse, we have a room that is used by the sports teams to have team meetings and this room is set up like a lecture hall, so it can easily fit the Captains’ Meeting with everyone able to have a seat and be comfortable. We have several hotel options in town for use such as: The Holiday Inn, Country Inn, Mound View Inn, and a Super 8. 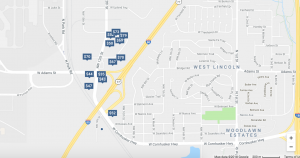 The surrounding area also has several hotel options that are right there making the distance to travel to the facilities short and quick to get to. With several options for hotels, I will be able to obtain deals for the teams to reduce costs further. I know that the hotels in the area always look for events like this, so they should be able to provide excellent offers to help everyone out. Platteville offers several options for food and the best part is that they are all along Main Street or on our business Hwy 151. If you are in the mood for fast food restaurants there are several that are available to teams. We have McDonald’s, Culvers, Milo’s, Jimmy John’s, Subway, Dairy Queen, A&W, Taco Bell, Taco John’s, Domino’s, Pizza Hut, and KFC. Now, if you are looking for more sit-down type restaurants to socialize those options are available too. 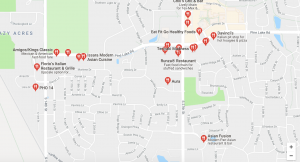 Some of these options include: County Kitchen, Los Amigos, Fiesta Cancun, China Buffet, Parkway Grill, The Ticket Bar and Grill, Spirits Bar and Grill, Steve’s Pizza Palace, Pizzeria Uno’s, and Owl Café. We also have a few coffee shop options too, in Badger Brother Coffee, and 2nd & Main Coffeehouse and Pub. Also, we have our student center right across from the fieldhouse, so you can order food from there and if you are 21 you can enjoy the local brewery that is on tab. Pioneer lanes also offers excellent food and a banquet area for your team to hang out and bowl if you so desire. As you can see, there are several options that you can chose from and they are in a short distance of each other making it easy to get to. On the weekends, parking is free on campus and most of the parking lots are empty so finding parking should not be a problem. The high school also offers plenty of parking. The Platteville Dodgeball Club has been getting its shirts and apparel from a local company for several years (RBS Activewear) and they are easy to work with and provide quality products. I have never have had any problems working with them and are always good at communicating. I have been talking to them and they are looking forward to such an opportunity to work with the league and provide a design for the national shirt that everyone will enjoy as well as for the all-star match. Besides the topics mentioned above, there are other things that might interest you. 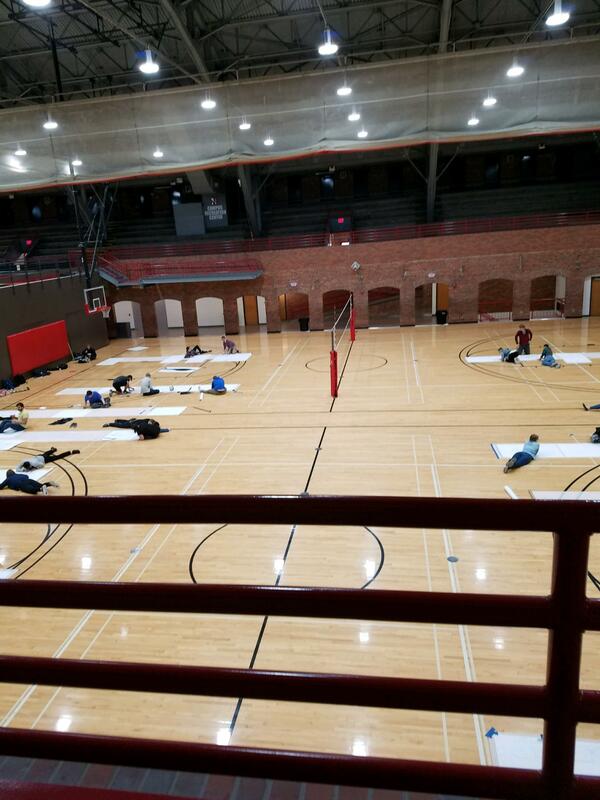 At Platteville, we also have other activities that can be taken advantage of. 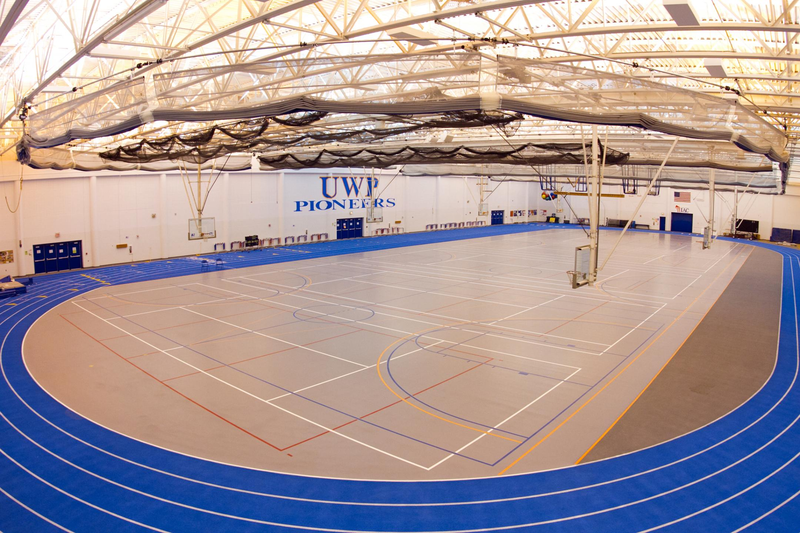 For example, all of you disc golf lovers out there (SVSU-Kenny Mize) UWP offers an 18-disc golf course on campus as well a 9- hole course off campus. Platteville is a small area, so traffic is never an issue and there is no city noise. It is safe to walk around and explore, and as I stated everything is on one drag, so you cannot get lost. We also have the World’s Largest M that you can climb that provides a great scenic view of the country side. I’m also in talks with the Bus Transportation System in Platteville to provide teams with free service of taking individuals to and from places without charge. These are just some of the things that Platteville has to offer and there are many more things and deals to come if able to host the national tournament. Platteville is a small area and locals are willing to offer more because holding an event such as this would be beneficial to our community. After hosting two successful tournaments during the 2017-2018 dodgeball season, Penn State would like to officially place a bid to host the NCDA Nationals 2019 at our university in University Park, PA.
We would utilize our Intramural Building for the weekend. 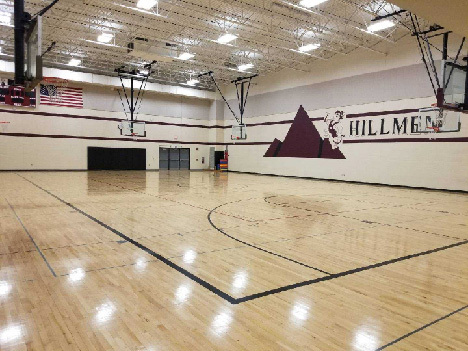 This is our largest multipurpose facility with all of the required amenities and more. We have ten (10) playable total courts in the IM building. Three (3) have curtains all in one room that are suitable to host three games at once. 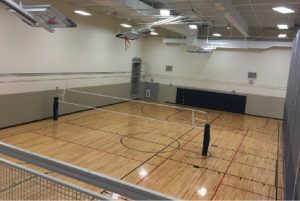 Three more courts do not have separators, but we would definitely be able to hold two games on the far courts and use the middle court as a general area for check in and other purposes. This room also contains an upper level for viewing. There are also three (3) additional courts with dividers towards the back of IM Building that includes an upstairs indoor track that spectators can use to view games from above (as well as get a better angle for filming). In the middle of IM, there are also two multipurpose courts as well. That would bring the total to 10 courts. Additionally, we have 10 racquetball courts for warming up, the fastest arm contest, storage, etc. There is also a large conference room downstairs which may be used for the captains meeting, so we wouldn’t have to walk several blocks like we did at VCU in 2018. East Parking Deck is approximately a block away from IM building. We can also work on gaining access to the commuter parking lots across the street from the IM building next to Beaver Stadium. These lots are mainly used for parking during Penn State football weekends. 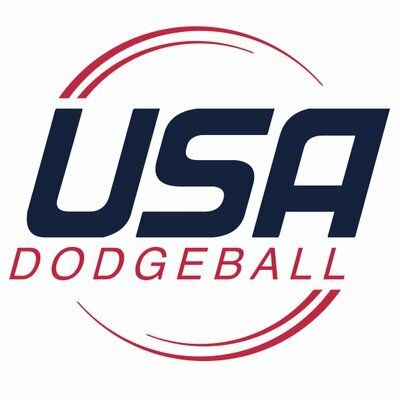 The lots will be more than enough to accommodate all of the dodgeball teams that attend Nationals, and all are within a 5 minute walk from the facility. We are able to rent out IM Building for Friday evening if there are additional games required to be played on Friday night. As with Nationals 2018, each team would be responsible for officiating designated games along with the help of NCDA staff and alumni. We will also have 10-20 club sports staff members on hand helping things run smoothly throughout the day for any injured players or off-court issues. 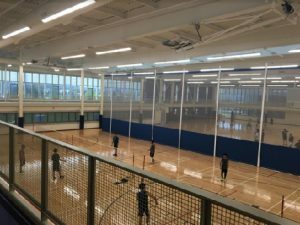 Penn State Club Sports can work with Penn State Wireless to accommodate each team with free Wi-Fi for live streaming, internet, and communications at no cost. 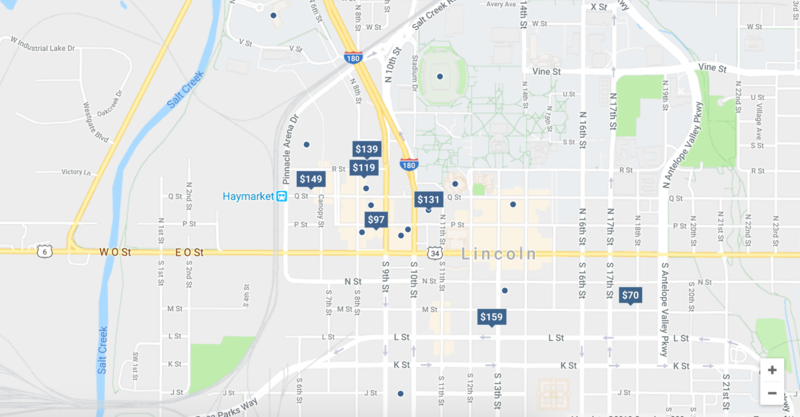 There are many hotels in the area that are cheap and about 5-10 minutes away from campus. We will be working to see if there is a way to receive any deals from any hotels in the area. Our university hosts more than 100,000 visitors on football weekends; there will be ample availability for NCDA teams to find close lodging for the weekend. State College has a wide variety of food and dining options. A few of these include Chick-fil-A, Chipotle, Primantis Brothers, Waffle Shop, Taco Bell, $1 slices at Canyon, McDonalds, and numerous other options in order to quench your hunger. There are plenty of bars to host all the 21 year olds coming to Nationals. All are downtown and within walking distance of each other. Ubers are relatively cheap, ranging from $6-$10 to get downtown. You got the iconic Phyrst, Champs with 8 pool tables and lots of arcade games, a night club at Indigo, Cafe 210, which has some outdoor space, and Pickles, the best of them all. Whatever scene you’re into, you’ll find it somewhere downtown. 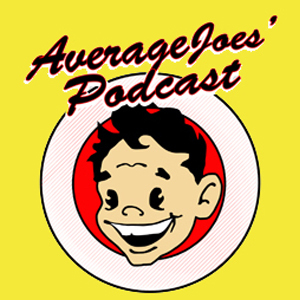 We’d be happy to answer any questions or address any comments! Thanks, and have a great summer! 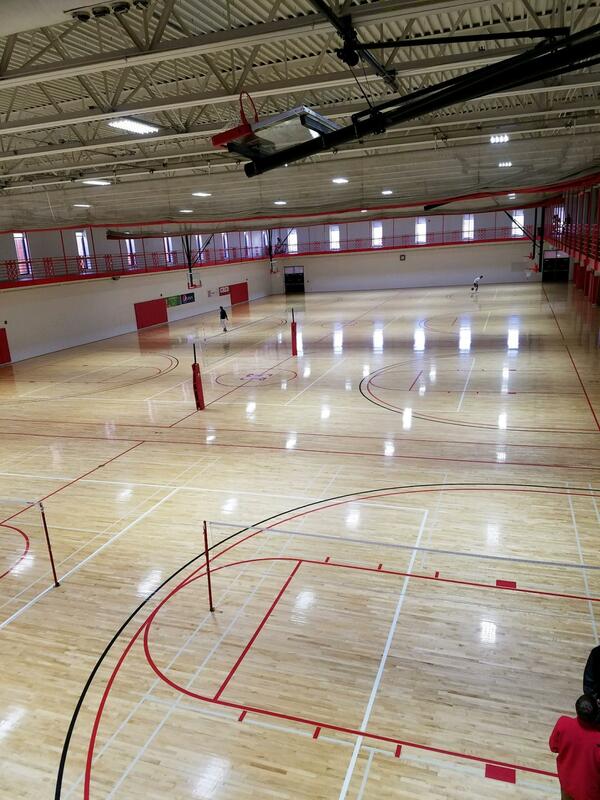 UNL will host Nationals at the Campus Recreation facility on City Campus. Access to 6 courts during the first or second week of April. Four courts are in the Colosseum and two are across the hall in the newer part of the center. There are bleachers with plenty of seating for spectators and teams since this is the old volleyball arena. Between each court there are curtain dividers to separate each court. We also have access to scoreboards for each court. 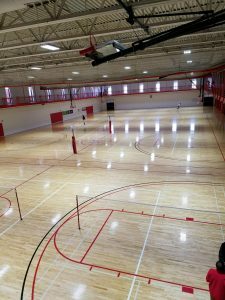 There is also a track around the Intramural courts for spectators and we should be able to acquire racquetball courts for warmups. 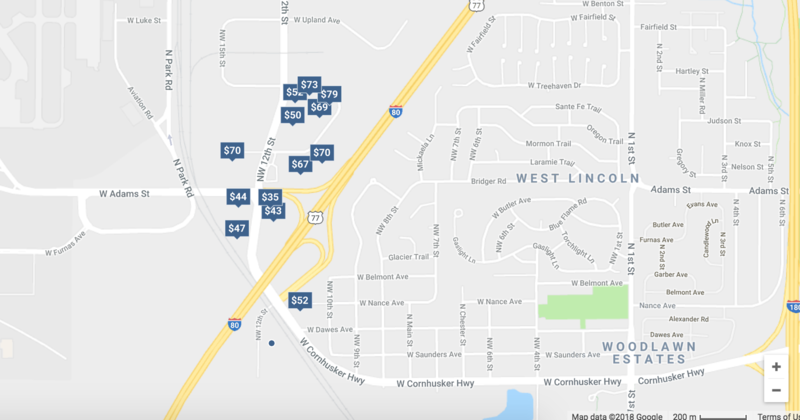 The city of Lincoln also has an abundance of hotels near campus and near the airport. 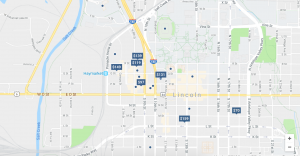 The hotels near downtown and the Haymarket area are also affordable and a quick 10 minute walk from campus. The airport hotels are also affordable and about a 15 minute drive from campus. We should be able to secure deals with hotels later on. Lincoln also has a large assortment of food chains and restaurants near campus. 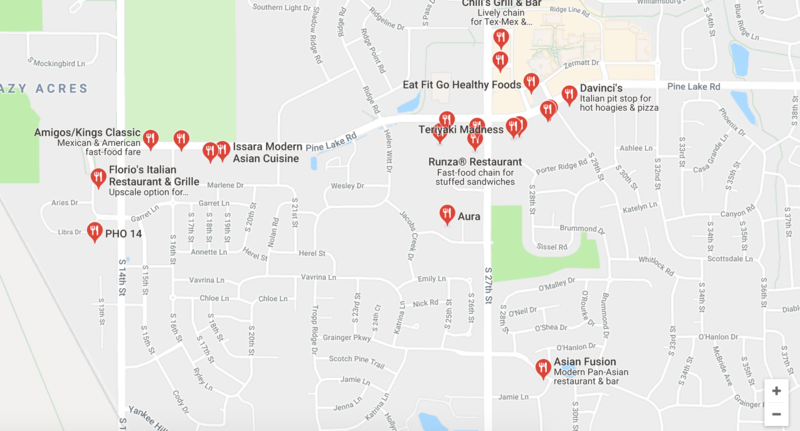 Chain restaurants include Chipotle, Qdoba, Panda Express, Subway, Noodles & Co., within a 10 minute walk of the Recreation Center. South Lincoln also has a high number of restaurants which is about a 20 minute drive from campus. Certain parking on the weekends on campus are free and there are also numerous meters and garages that are nearby for parking.